Anti Kataang. Anti Kataang Pro ZUTARA!!!!!!!!!!!!!!!!!!!. HD Wallpaper and background images in the Zutara vs. Kataang club tagged: zutara kataang katara aang avatar. Anyone can just take a picture and put an X through it. Remove the X and it's a cute pro-Kataang picture. Its cheesy and poorly done. 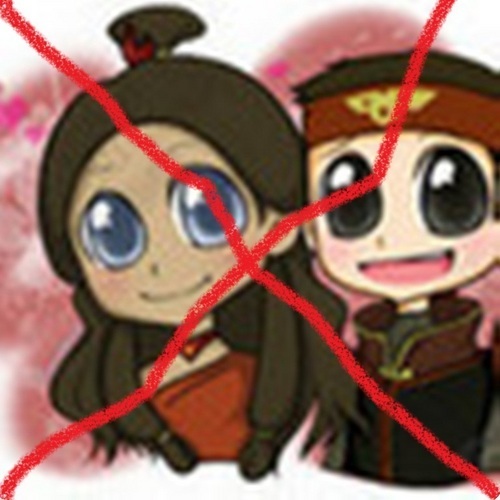 Yeah, why don't I take a cute Zutara picture, put an X through it, and say it's anti-Zutara. It's stupid. you wouldnt do it because it hardly proves anything. You're stupid. It's perfectly true. Lol not really the stupid one is the one who took a perfectly good picture and Xed it out. I care because it's disrespectful and immature. I don't like it when kataagers do this stuff either, it's a bit rude ya know what I ,mean? That is one person's opinion, it really doesn't prove anything. Not to mention the artiest him/herself typed; Alright, this is my rendition of Avatar Shipping. DON'T think this like good work. Stating that he/she realizes that this is just his/her opinion and he/she isn't speaking for everyone. If I made a picture of this nature would it solidify my opinion? No, because opinions are only that--no matter how much art is made to support it.